These are some historic spot's along 66 that are only with us through memory. You probably have your own favorites along the road. I will be adding to this section as I find new pictures of highway icons. 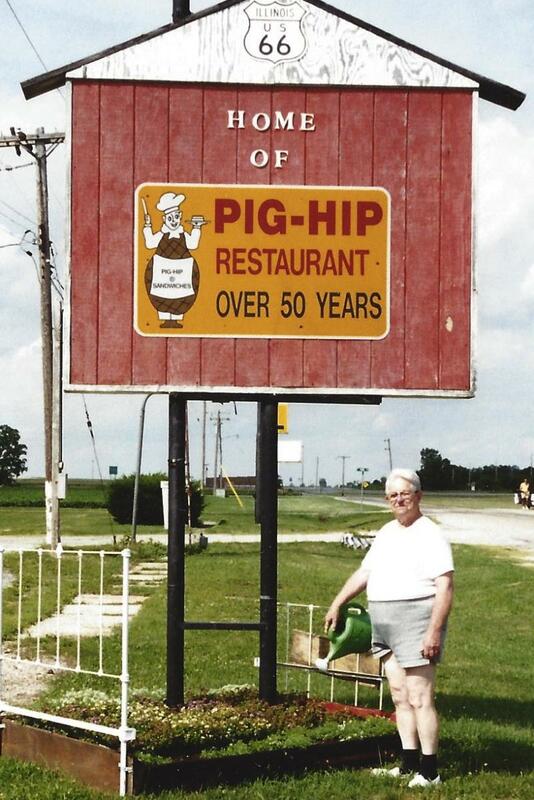 Pig-Hip Restaurant owner, Erine Edwards, began his restaurant career in Broadwell, Illinois. He loved this flower bed out front! 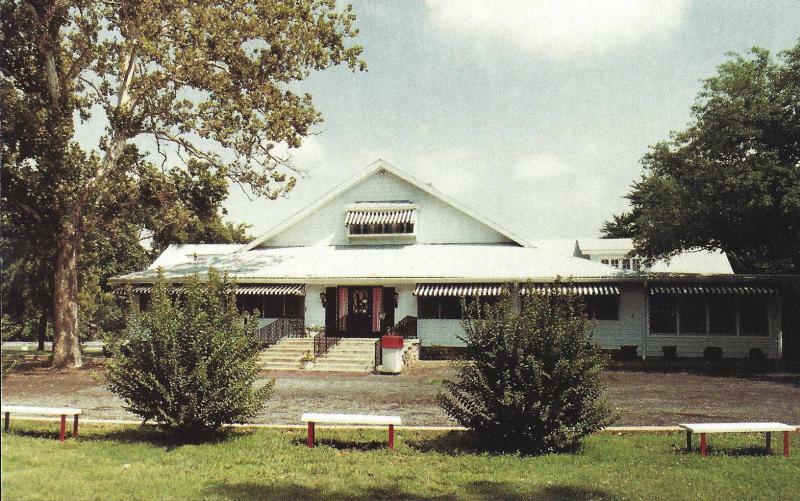 The Spring River Inn at Riverton, Kansas, was a classic road stop until it burned to the ground. CLINT BAKERS CAFE, Afton, OK, was reccomended by Duncan Hines for many years and was one of the best eateries on Route 66. 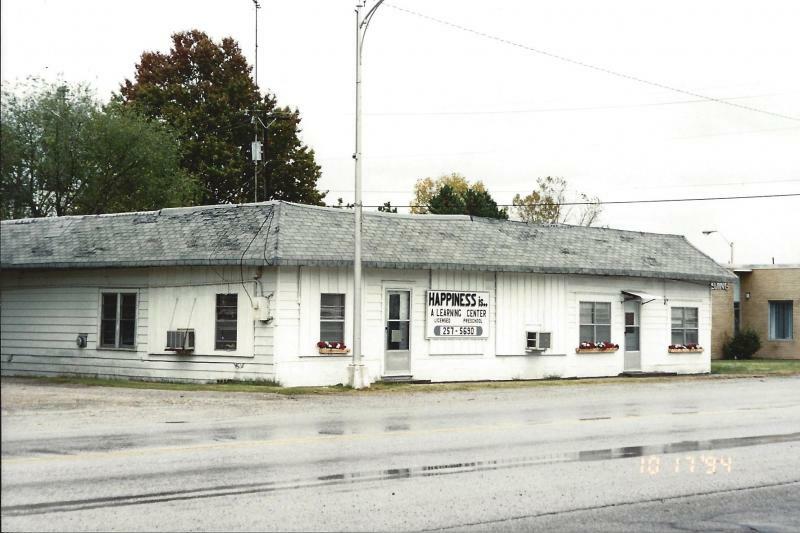 The building is now a day-care center just down the street from Laurel Kane's Afton Station. 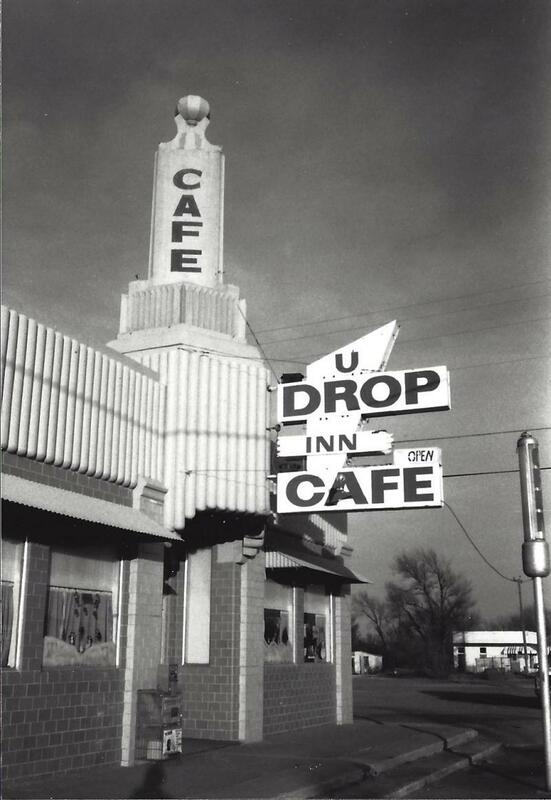 The U Drop Inn Cafe opened for buisness April 1, 1936. John and Bebe Nunn were the original owners. Today this art deco icon houses the Shamrock Texas Chamber of Commerce. Once on the corner of Admiral and Mingo, Cy Avery, fed Route 66 travlers with memorable hot rolls and other delicious foods all on white linen clothes and fresh flowers. 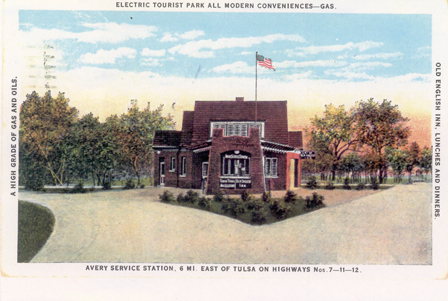 One location can still be found in Oklahoma city on Route 66. 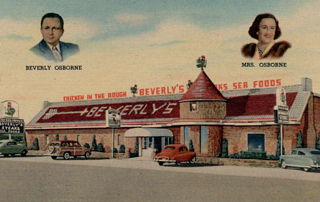 This iconic restaurant serverd chicken in the rough as one of the first chains in the country beginning in 1936. 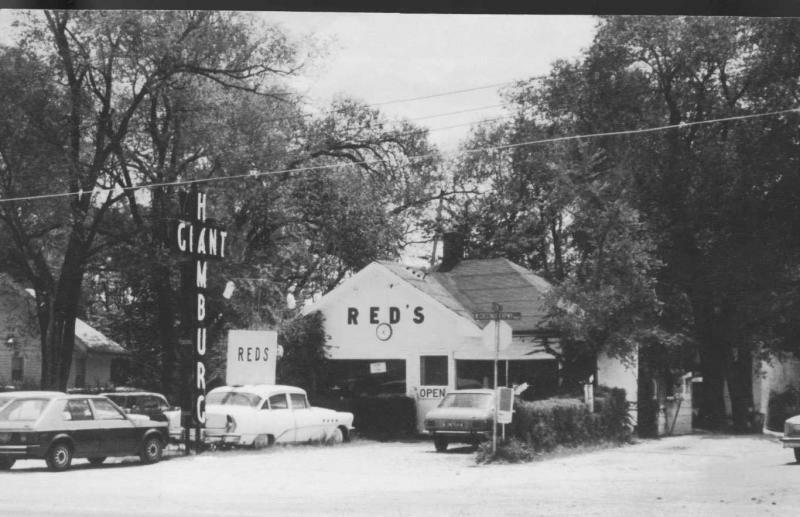 We believe Red Chaney in Springfield, MO, had the first drive through on 66.